Updates to Doris L.'s profile since your last visit are highlighted in yellow. Introduced by my brother in law and then realized that we both went to Crossland at the same time but never knew eachother (Small World) and we have been married for 18 years now. I moved to Myrtle Beach, SC four years ago and LOVE it here! I enjoy the beach very much and the people here are so much friendlier. Doris L. Pace Bridgett changed her "Now" picture. New comment added. 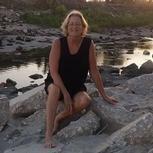 Doris L. Pace Bridgett updated her profile. View. Doris L. Pace Bridgett has a birthday today.